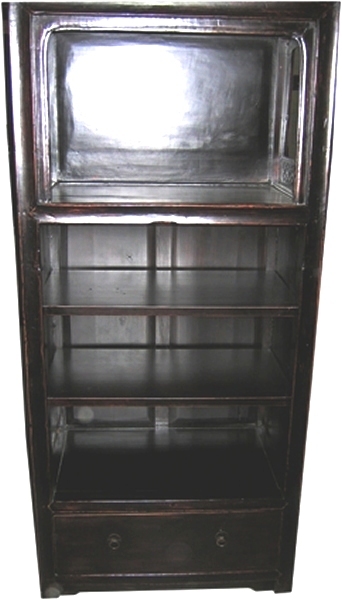 Beautiful Chinese Elm was used in the construction of this lovely bookcase which came from Hubei province in China. It dates from the early 19th century. The patina of the wood is beautiful. It has a large space at the top which can be used for display. Three shelves are arranged below it and at the bottom there is a large deep drawer.